Looks like local egg-farmer Hickman's Family Farms is having some fun. 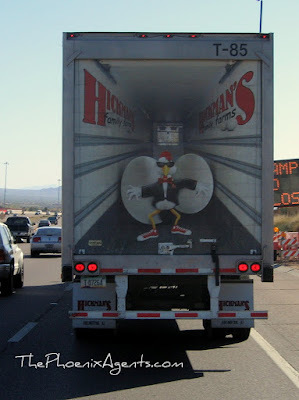 This truck was in front of me this morning on Loop 101. Good thing that chicken kept the eggs inside!